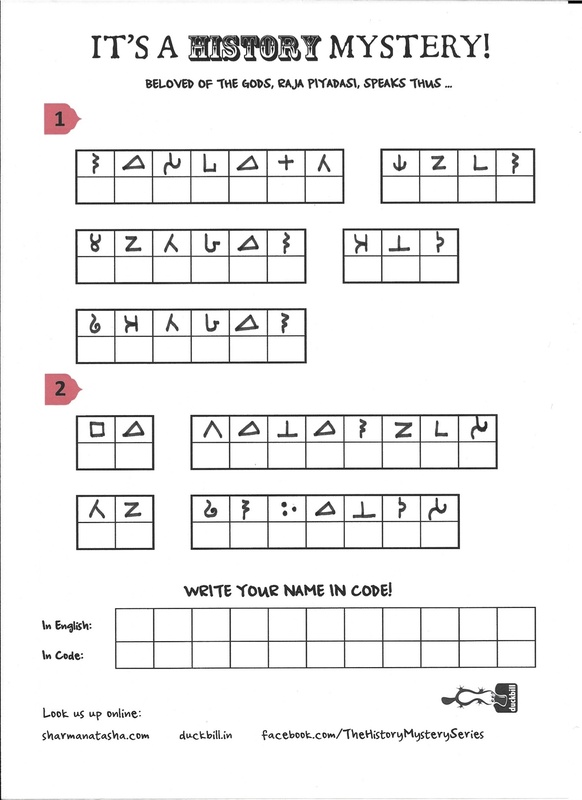 Download coded sheets with messages from Emperor Ashoka from almost 2000 years ago. Use the key we’ve given to decode the message and read what he had to say. Download an entire set of coded sheets. Click on the link below. The messages are numbered. The sheets have a mix of messages, so that you can share the activity with your friends. For many years, people had forgotten how to read Ashokan Brahmi, we had lost any trace of an emperor called Ashoka and no one knew what was written on what we today call Ashoka’s pillars and rocks! James Prinsep, the man who deciphered the script on Ashoka’s rocks and pillars in 1837 and helped us rediscover the great Emperor Ashoka struggled for many years before he deciphered it. We’ve made it easy for you by giving you the KEY! View the key on your screen or download by clicking the pdf link below.